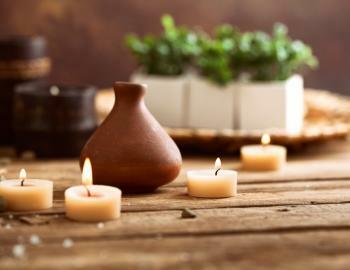 Here are five great ways to increase your sense of relaxation during your stay in Asheville through massage therapy or spa treatments. We are admittedly partial to the Spa at Biltmore Village which is located right in the very charming and classy Biltmore Village, right outside of the gates to the Biltmore Estate. They offer massage therapy services, couples massage, nail care services, facials, professional waxing, and other spa treatments. On top of this, they are literally beside the gates of the Biltmore so you can spend the day exploring this famous Estate after your massage treatment. We offer a variety of packages and offerings through our Guest Services division in partnership with them. Let us make things easy on you by scheduling your spa service or couples massage for you! During the winter months, we recommend the Asheville Winter Romance Spa Package which includes a couples 60-minute massage at the Spa at Biltmore Village, a beautiful local flower arrangement, and a bundle of firewood so you can get cozy around the fireplace of your Greybeard vacation rental. Didn't get a cabin with a hot tub? No worries. Asheville's Japanese-inspired spa, Shoji Spa, offers hourly soaks in their salt hydrotherapy tubs. Shoji also offers a variety of massage options including their Zen Massage, Nantahala Deep Tissue Massage, warm bamboo massage, and add-ons like a peppermint foot scrub. Explore downtown and follow up your day of discovery with a massage in the heart of the city. Spa Theology and Sensibilities Day Spa Downtown are very walkable day spas in the heart of downtown. Sensibilities Day Spa Downtown specializes in organic skin care options and Spa Theology highlights hydrafacial options. Both are full-service day spas for all of your massage therapy needs. For a very "Asheville experience," try the Asheville Salt Cave. Asheville's only salt cave includes over 20 tons of pure pink salt. You can relax with a couples massage or unwind in the salt cave. The salt rock crystals in the cave release 84 trace elements and minerals that are essential to the body. Looking to splurge on a luxurious massage treatment in an amazing setting? The spa at the historic Grove Park Inn or Biltmore Spa may be the perfect solution for you. At the Grove Park you can take in stunning mountain views and explore the historic inn or you can walk in the footsteps of the Vanderbilts at the Biltmore Estate and explore America's largest private residence in between your spa treatment. Asheville, North Carolina is a place of tremendous beauty. 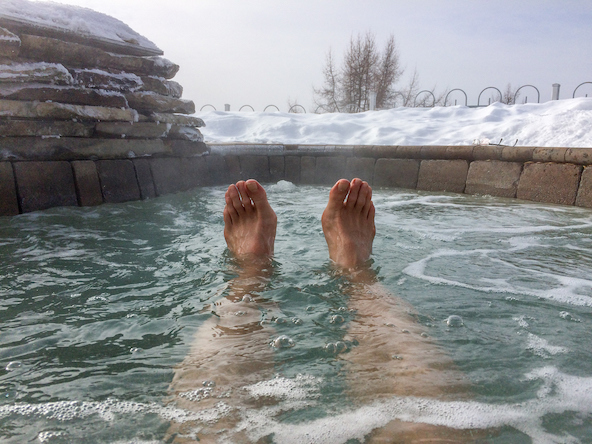 In between your massage appointments, there are so many other ways to relax in addition to taking advantage of the natural therapy of breathing mountain air and taking in those long-range views. Some prefer to soak in their vacation rental hot tub, sit fireside with a good book and a glass of wine or mug of coffee, while others may opt for soft background music and a candlelit dinner at a local restaurant... or there is always one of our favorite options - a winter hike to a beautiful mountain vista. Whatever your preference, we're here to help you relax and make your stay as easy as possible. Come to Asheville this winter and unwind.